The Power Tap Pro has been redesigned for 2012 and is now lighter, stiffer, and better than ever. 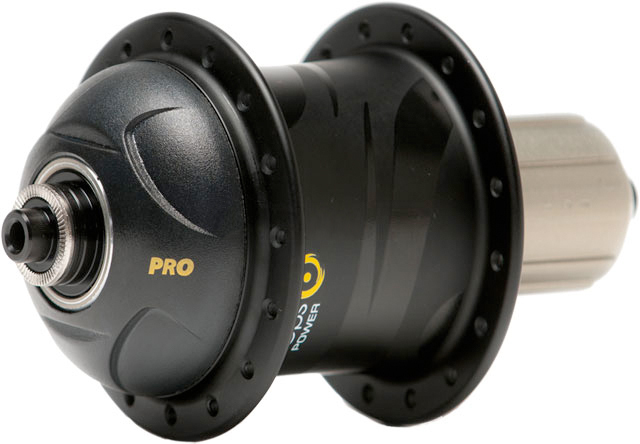 Thanks to a 20-gram weight reduction the PowerTap Pro hub now weighs only 446 grams. It features an alloy axle for optimum stiffness-to-weight ratio. ANT+ compatible for use with your favorite computer. Compatible with Shimano/SRAM freehub bodies only.